Nikujaga (Japanese style Beef-Potato Stew) is a Japanese simmered dish with a sweet-salty seasoning. It is very popular and everybody likes it. This dish is one of the “Homemade taste” dishes, and in old Japanese traditions women who can cook this kind of simmered dish were considered full-fledged wives. 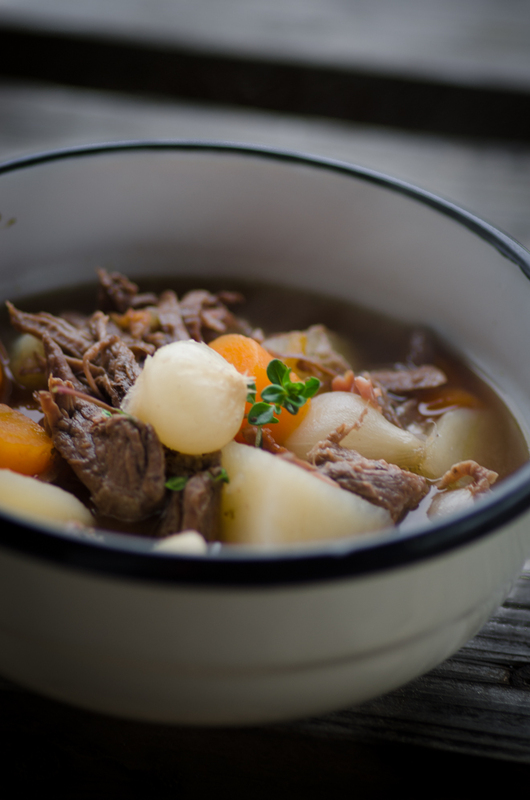 Interestingly, in 1878, a person who had beef stew when visiting England explained to a Japanese chef how the beef stew tasted, and the chef cooked it using his imagination. Eventually that’s where Nikujaga came from. That’s why the ingredients are similar to beef stew. This is Dashi Dried Kelp I used for Kelp Dashi Stock. In Japanese simmered dishes, Dashi stock is the most important thing to add Umami to the dish. I used Kelp Dashi stock this time because I wanted to bring out the flavor of the ingredients. Please see the post on Kelp Dashi stock as a reference. Categories: Simmered, stew | Tags: Beef, Carrot, Dashi, Delicious, Easy, Fucoidan, gluten free, Healthy, Homemade, Iodine, Japan, Kelp, Mineral, Onion, Potato, protein, Traditional, Vitamins | Permalink. Hmm, that looks so nice!